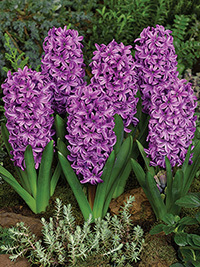 Beautiful deep lilac shade, its vibrant colour is sure to create an impact in the garden. Very fragrant. Early spring flowering, 25 cm tall.